The life science industry has always been steps ahead when it comes to data collection and analysis. It’s possible to argue it has been embracing ‘Industry 4.0’ methodology before the term existed. However, companies have also been aware of the pitfalls of ‘big data’ for over 40 years. Data collection and visualisation to improve the performance of the manufacturing supply chain has been a goal for the life science manufacturing industry for a very long time. However, in GMP manufacturing, it’s not about being new – it’s about using proven solutions and approaches to improve quality, reliability and reducing waste. The pharma industry has been collecting data in large historian systems for years. They currently have a lot of data coming from a lot of sources. Right now, almost every device in a GMP manufacturing facility collects data and the industry continues to complete projects to physically connect all these devices and systems. Join this webinar to cut through the Industry 4.0 paradigm in life science manufacturing, gain insight and real GMP examples of data analysis methods and achieve the most from the data you’re already collecting. David is the Global Director of Services at Zenith Technologies and leads the delivery of Automation, MES and Digital services out of Zenith’s 16 offices globally. David has over 20 years’ experience in delivering Automation, MES and Digital projects and services for some of the largest biopharmaceutical companies in the world. David lectures in project management on Master’s Programmes in UCD and regularly presents at national and international conferences. Senior professionals from GMP Manufacturing, Pharmaceutical, Biotech and Biopharma sectors involved in using data analysis to make business improvements. 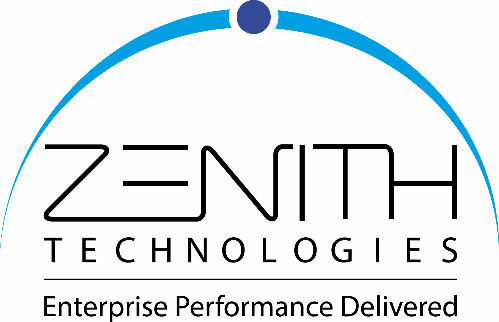 Zenith Technologies operate 100% in the life sciences. We are world leaders in delivering manufacturing software systems that make businesses compliant and competitive. We specialise in implementing and supporting automation, MES and digital solutions that manage, control and optimise manufacturing plants to improve operational effectiveness. We have experience in the delivery and management of over 35 technologies covering: MES, DCS, PLC/SCADA, Historian, PAT, BMS, and pride ourselves on being vendor independent. Operating across 5 continents, we work with the leading pharma and biotech companies, providing performance improvements, reduced costs, & total compliance. We build long term partnerships with our customers and are focused on supporting the full system lifecycle.